As the second day of the Pitchfork Music Festival kicked off, a significantly larger crowd formed around the Red Stage for its second act of the day, Cloud Nothings. The Cleveland rock band has gradually gained momentum with each album over the past few years, most notably 2012's critical success Attack on Memory and this year's Here and Nowhere Else. 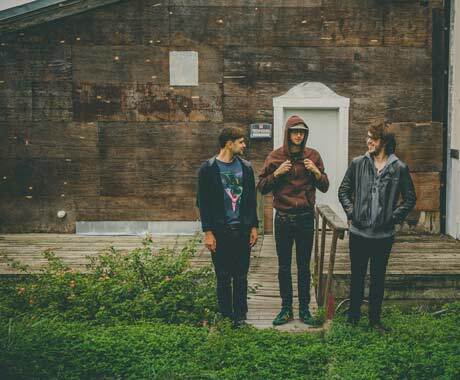 On record, Cloud Nothings neatly packs in hooks in some places and unfurls eight-minute long opuses in others. Their live act is similar, but the ferocity of each riff is intensified as singer Dylan Baldi rips through each song with a brawny urgency while drummer Jayson Gerycz proves his incredible prowess on drums by keeping up the band's breakneck speeds. Although tracks off of the band's latest album have yet to demonstrate the same strength as its predecessor, their performance has continued to invigorate songs such as "Psychic Trauma" and the spiralling "Pattern Walks," reminding us of their deserved consideration as some of the year's standout tracks.